Well, what are your plans for small business marketing for 2018? As the second quarter of 2018 has passed, it’s essential to take stock of how the year would it panned out for your businesses. As a matter of fact, the world of marketing is rapidly developing. So, in order to stay ahead of the competition or be in the number one position, you can’t rely on the same things. So, are you the owner of your small business? And are you looking for the smart, bold and innovative ways that will lead your business around the globe for driving success? Well, there’s a truckload of the small business marketing ideas in the market, but it’s really challenging to figure out the right path for the success of your business. No doubt, you all are doing well in your work. But it’s the right time to tell everyone about your marketing strategies and to develop your business in more effective ways! So, this article will give you the timeless tips and techniques for the success of your business. 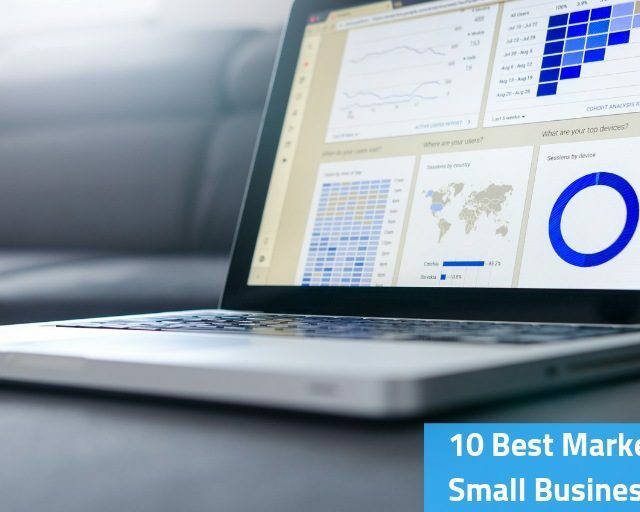 Hence, put yourself on the ground by following this ten small business marketing tips. By now, you must have heard about the concept of content marketing. As it is the inbound marketing tactics that will help you to attract, delight and engage customers by delivering the best quality content for everyone. In addition to it, this tactic will help you in driving more traffic or customers from the various sources towards your business. Hence, start creating the relevant content to drag more customers including digital content like an article, a blog, press release and YouTube channel, as well as printed material like magazines, sales sheets, and brochures. After all, once your content is in the right place, you are ready to focus on different things which attributes – attracting clients, sending postcards and on buying more advertising projects. Live Videos are the most successful small business marketing idea in the year 2018. Because, when it comes to the way of increasing sales for the small business, it is the easiest way to capture all the attention of the users or customers. Moreover, with Live-streaming, entrepreneurs can be able to add the human element to the marketing strategies. In fact, everyone watch videos on YouTube, that’s the only reason it is the second largest search engine all over the globe. At this platform, you can also show off your new products and services, and it will also help you in promoting the business. On the other hand, Facebook is also the great way to connect with the customers. For example – You can do the session of questions and answers related to your products or services and answer the queries of the users in the comment box as this will help you to connect with the customers at a personal level. For real-time interaction session, hang yourself to watch a sufficient number of courses for promoting products on social media and to always appear more professional in the eyes of your rivals. The next tip for small business marketing ideas is to create the loyal users or customers for your business. As this tactic is quite challenging, but the results are worth than that. With the advancement of technology, everyone wants to be on the number one, so the customers have more choices than ever. In case, you are competing with your rivals on price range, so it’s a race to the bottom. Someone will always offer lower cost products and services than you. Due to this, you need to treat your customers as royalty because a loyal, satisfied and engaged customer will always help you in advertising your products and services. Hence, conduct a customer survey and figure out the queries of the users by asking them- How do they feel about the new products, features, and policies of your small business? Therefore, make sure you are treating your customers as royalty because loyal customers are five times as likely to forgive your mistakes, seven times as likely to try your new products and services. Well, marketing is just like communicating with your customers in order to increase your sales and profit graph. As a matter of fact, there is so much buzz on the internet, as these are helping out the startups to get a higher rank on the search engines. In order to cut through the noise, many businesses are figuring out the old-school methods for promoting their new services such as – with printed materials, postcard, and brochures. So, it is the easiest and low-cost effective idea for the small business and it will also help you in creating the different identity in the market. As a matter of fact, Artificial intelligence (AI), Internet of things (IoT) and Machine Learning(ML) are becoming the buzzwords for 2018. In fact, they have reached almost the parodistic level, because of their more significant impact on marketing strategies at low or no costs. However, AL is becoming central to the way entrepreneurs do their marketing. With the access of Artificial Intelligence, small enterprises can create the large-scale projects at small budgets as it helps in collecting the random data into the actual insights more effectively. Tracking and measuring the results of the marketing is one of the best aid for small business marketing ideas. However, no matter how much money you are spending on the marketing campaigns, it need to be adequate for the growth of the business. And the best way to know where to invest in marketing campaigns is through the process of measurement and tracking. More importantly, the way you measure success always depends upon your goals and platforms. 1. Whether your website is essential for tracking satisfaction? 2. Whether the handed out in your store is helping you in promoting your products and services or not? 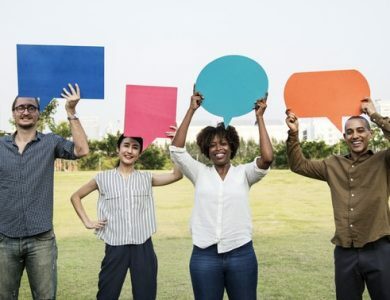 Customers feedback is proving to be most successful aid for the small business marketing in 2018. In fact, it is the only way to understand your users or customers. 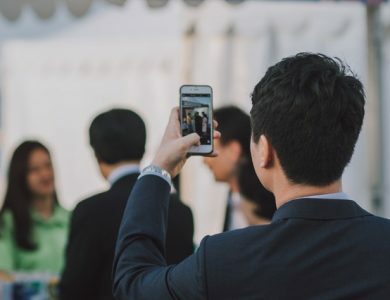 So, present yourself well and say the right things and explore all your company’s events and projects to the users more effectively in order to stay connected to the customers on a personal level! Hence, don’t put all your eggs on one platform. Figure out the different ways to know your client’s needs and requirements, as every successful entrepreneur adapt and respond to the needs of their customers. No doubt, the Internet has turned people into media-savvy shoppers, and the control has shifted from enterprises to buyers. Moreover, shoppers neglect the idea of brand loyalty if the product is available at a lower price in somewhere else. For example- If one person is searching for best quality clothes in the search engines, at that time your website comes up at first. The most likely chances that customer will purchase from your store, if you are offering the best-quality at affordable prices with hang tags. This makes a big difference! So, you need to consider the e-commerce business from the user’s point of view. In fact, your website is your shop’s digital welcome mat. Basically, it is the beginning of a customer’s journey. You need to provide the user-friendly environment to the shoppers so that they will help you in promoting your products and services by giving referrals to their loved ones! 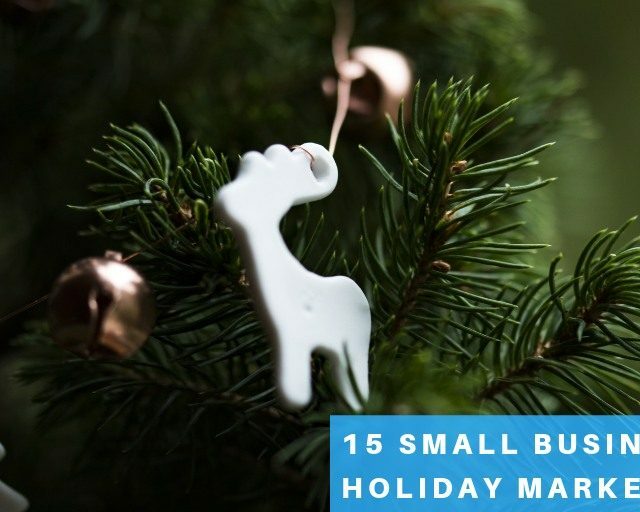 Start small and be on consistent quality is the most pertinent small business marketing idea in the 2018. No matter, high-quality products, and services might leave customers satisfied after your first encounter in the market. But, if consequent purchases leave the constant lousy feeling for your products you’ll lose countless dollars in the future revenue. So, instead of doing this, take your time in order to understand the customer’s needs. Hence, there is no need to be on every social networking sites and handle numerous campaigns for print marketing at one time. In fact, log in with three or four social media platforms and focus on the quality of the products. With the improvement in marketing success, you can measure your services to reach more customers. Moreover, this will also help you to create the difference between the sudden failure and long-term success. So, you must be aware of the fact that it’s easy and inexpensive to open a company than ever before, but quite challenging to figure out the best small business marketing ideas. Due to the high competition, customers also have an ample number of options from where they can buy. So, that’s why it’s advisable to explore the different things in order to make a big difference from your rivals. Dreaming about the success of your business is good, but you need to do the hard work in order to make it real. In fact, now you are having the profound knowledge regarding the small business marketing tips for 2018, so select the right way of starting your business and overcome all the worries and tensions of your life. Moreover, these tips will not only provide you the magical success but will create the path for long-term business. So, if you have planned ready for your business, Incparadise is here to assist you for the registration process and incorporation.